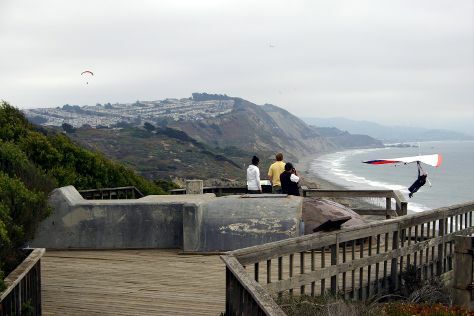 On the 13th (Mon), tour the pleasant surroundings at Baker Beach. Get ready for a full day of sightseeing on the 14th (Tue): take a leisurely stroll along The Embarcadero and then enjoy the sand and surf at Fort Funston National Park. To see maps, photos, reviews, and tourist information, read our San Francisco travel itinerary planner. Brisbane, Australia to San Francisco is an approximately 18.5-hour flight. You can also do a combination of flight and train. Due to the time zone difference, you'll gain 18 hours traveling from Brisbane to San Francisco. While traveling from Brisbane, expect little chillier days and about the same nights in San Francisco, ranging from highs of 24°C to lows of 13°C. Finish up your sightseeing early on the 15th (Wed) so you can go by car to Yosemite National Park. Escape the urban bustle at Cathedral Beach Picnic Area and Glacier Point. Spend the 18th (Sat) exploring nature at Bridalveil Fall. There's still lots to do: explore the striking landscape at North Dome, take in the dramatic scenery at Yosemite Falls, get great views at Tunnel View, and make a trip to Yosemite Village. To see more things to do, ratings, where to stay, and more tourist information, read Yosemite National Park road trip planning website . Traveling by car from San Francisco to Yosemite National Park takes 4 hours. Alternatively, you can do a combination of flight and car; or do a combination of flight and bus. Traveling from San Francisco in May, Yosemite National Park is slightly colder at night with lows of 1°C. Cap off your sightseeing on the 18th (Sat) early enough to travel to Los Angeles. We've included these beaches for you: Venice Beach and Boardwalk and Santa Monica State Beach. Visiting Oak Canyon Nature Center and Kenneth Hahn State Recreation Area will get you outdoors. Change things up with these side-trips from Los Angeles: Dolphin & Whale Watching (in Dana Point) and Camera Obscura (in Santa Monica). There's still lots to do: see the interesting displays at The Getty Center, admire the landmark architecture of Walt Disney Concert Hall, take in the waterfront at Santa Monica Pier, and don't miss a visit to Hollywood Walk of Fame. To see maps, more things to do, photos, and more tourist information, you can read our Los Angeles visit planner. You can do a combination of car and flight from Yosemite National Park to Los Angeles in 4.5 hours. Other options are to drive; or do a combination of bus and flight. Traveling from Yosemite National Park in May, expect nights in Los Angeles to be warmer, around 17°C, while days are a bit warmer, around 28°C. Finish up your sightseeing early on the 21st (Tue) so you can go by car to San Diego. On the 22nd (Wed), examine the collection at USS Midway Museum and then enjoy the sand and surf at La Jolla Cove. On the 23rd (Thu), you'll have a packed day of sightseeing: step aboard Maritime Museum of San Diego and then meet the residents at San Diego Zoo. 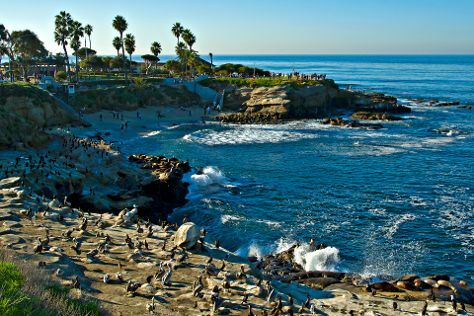 To find out how to plan a trip to San Diego, use our trip itinerary maker. Traveling by car from Los Angeles to San Diego takes 2.5 hours. Alternatively, you can take a bus; or fly. May in San Diego sees daily highs of 25°C and lows of 19°C at night. Finish your sightseeing early on the 23rd (Thu) so you can travel to Miami. Get some cultural insight at Lincoln Road and The Wolfsonian - Florida International University. 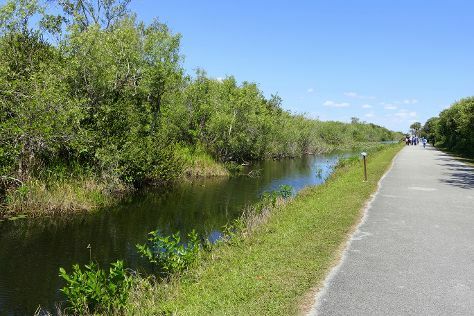 Visiting Shark Valley and South Beach will get you outdoors. The adventure continues: wander the streets of Art Deco Historic District, see the interesting displays at Vizcaya Museum and Gardens, contemplate the long history of Barnacle State Historic Site, and get a taste of the local shopping with Collins Avenue. Quickly create a custom-made itinerary for Miami using our trip planner. Getting from San Diego to Miami by flight takes about 6.5 hours. Other options: do a combination of flight and bus; or drive. Traveling from San Diego to Miami, you'll lose 3 hours due to the time zone difference. Traveling from San Diego in May, things will get a bit warmer in Miami: highs are around 36°C and lows about 27°C. Finish up your sightseeing early on the 26th (Sun) so you can travel to New York City. Get some cultural insight at The Metropolitan Museum of Art and Times Square. Step out of the city life by going to Bronx Zoo and East River Waterfront Esplanade. Next up on the itinerary: go for a walk through Central Park, get a new perspective on things with Boat Tours & Water Sports, appreciate the history behind 9/11 Memorial, and enjoy breathtaking views from Empire State Building. For other places to visit, reviews, more things to do, and more tourist information, read our New York City online road trip planner . You can fly from Miami to New York City in 5.5 hours. Other options are to do a combination of flight and bus; or drive. In May, New York City is little chillier than Miami - with highs of 24°C and lows of 15°C. Finish your sightseeing early on the 29th (Wed) to allow enough time to travel back home.